^ Goldin A, Beckman JA, Schmidt AM, Creager MA (2006-08-08). “Advanced glycation end products: sparking the development of diabetic vascular injury.”. Circulation 114 (6): 597-605. doi:10.1161/CIRCULATIONAHA.106.621854. PMID 16894049. http://circ.ahajournals.org/content/114/6/597.short. ^ a b Vistoli, G; De Maddis, D; Cipak, A; Zarkovic, N; Carini, M; Aldini, G (Aug 2013). “Advanced glycoxidation and lipoxidation end products (AGEs and ALEs): an overview of their mechanisms of formation.”. Free Radic Res. 47 (12): Suppl 1:3–27. doi:10.3109/10715762.2013.815348. PMID 10946212. ^ Nagai R, Ikeda K, Higashi T, et al (1997-05-08). “Hydroxyl radical mediates Nε-(carboxymethyl)lysine formation from Amadori product.”. Biochem Biophys Res Commun 234 (1): 167-72. doi:10.1006/bbrc.1997.6608. PMID 9168983. http://www.sciencedirect.com/science/article/pii/S0006291X97966080. ^ Nagai R, Fujiwara Y, Mera K, et al (2008-03-20). “Immunochemical detection of Nε-(carboxyethyl)lysine using a specific antibody.”. J Immunol Methods. 332 (1-2): 112-20. doi:10.1016/j.jim.2007.12.020. PMID 18242632. http://www.sciencedirect.com/science/article/pii/S0022175908000033. ^ Sell DR, Monnier VM (1989-12-25). “Structure elucidation of a senescence cross-link from human extracellular matrix. Implication of pentoses in the aging process.”. J Biol Chem. 264 (36): 21597-602. PMID 2513322. http://www.jbc.org/content/264/36/21597.full.pdf. ^ Hayase F, Nagaraj RH, Miyata S, et al. (1989-03-05). “Aging of proteins: immunological detection of a glucose-derived pyrrole formed during Maillard reaction in vivo.”. J Biol Chem. 263 (7): 3758–64. PMID 2917974. http://www.jbc.org/content/264/7/3758.full.pdf. ^ Ienaga K, Nakamura K, Hochi T, et al (1995). “Crosslines, fluorophores in the AGE-related cross-linked proteins.”. Contrib Nephrol. 112: 42-51. PMID 7554992. ^ Nagai R, Hayashi CM, Xia L, et al. (2002-12-13). 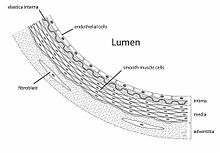 “Identification in Human Atherosclerotic Lesions of GA-pyridine, a Novel Structure Derived from Glycolaldehyde-modified Proteins.”. J Biol Chem. 277 (50): 48905-12. PMID 12377783. http://www.jbc.org/content/277/50/48905.full. ^ Iijima K, Murata M, Takahara H, et al (2000-04-01). “Identification of Nω-carboxymethylarginine as a novel acid-labile advanced glycation end product in collagen.”. Biochem J. 347 (Pt.1): 23-7. doi:10.1042/bj3470023. PMID 10727397. http://www.biochemj.org/content/347/1/23. ^ Ulrich P, Cerami A. (2001). “Protein glycation, diabetes, and aging.”. Recent Prog Horm Res. 56: 1-21. PMID 11237208. ^ Miyata, T; Oda, O; Inagi, R; Iida, Y; Araki, N; Yamada, N; Horiuchi, S; Taniguchi, N et al. (September 1993). “beta 2-Microglobulin modified with advanced glycation end products is a major component of hemodialysis-associated amyloidosis.”. The Journal of Clinical Investigation 92 (3): 1243–52. doi:10.1172/JCI116696. PMC: 288264. PMID 8376584. https://www.ncbi.nlm.nih.gov/pmc/articles/PMC288264/. ^ a b c Uribarri, J; Woodruff, S; Goodman, S; Cai, W; Chen, X; Pyzik, R; Yong, A; Striker, GE et al. (June 2010). “Advanced glycation end products in foods and a practical guide to their reduction in the diet”. Journal of the American Dietetic Association 110 (6): 911–16.e12. doi:10.1016/j.jada.2010.03.018. PMC: 3704564. PMID 20497781. https://www.ncbi.nlm.nih.gov/pmc/articles/PMC3704564/. ^ a b Koschinsky, T; He, CJ; Mitsuhashi, T; Bucala, R; Liu, C; Buenting, C; Heitmann, K; Vlassara, H (Jun 10, 1997). “Orally absorbed reactive glycation products (glycotoxins): an environmental risk factor in diabetic nephropathy.”. Proceedings of the National Academy of Sciences of the United States of America 94 (12): 6474–9. doi:10.1073/pnas.94.12.6474. PMC: 21074. PMID 9177242. https://www.ncbi.nlm.nih.gov/pmc/articles/PMC21074/. ^ Goldin A, Beckman JA, Schmidt AM, Creager MA (2006). “Advanced glycation end products: sparking the development of diabetic vascular injury”. Circulation 114 (6): 597–605. doi:10.1161/CIRCULATIONAHA.106.621854. PMID 16894049. ^ Song X, Bao M, Li D, Li YM (1999). “Advanced glycation in D-galactose induced mouse aging model”. Mech Ageing Dev 108 (3): 239–51. doi:10.1016/S0047-6374(99)00022-6. PMID 10405984. ^ Gugliucci A, Kotani K, Taing J, et al. (2009-08). “Short-Term Low Calorie Diet Intervention Reduces Serum Advanced Glycation End Products in Healthy Overweight or Obese Adults.”. Ann Nutr Metab. 54 (3): 197-201. doi:10.1159/000217817. PMID 19420913. https://www.karger.com/Article/Abstract/217817. ^ a b Brownlee, M (June 2005). “The pathobiology of diabetic complications: a unifying mechanism.”. Diabetes 54 (6): 1615–25. doi:10.2337/diabetes.54.6.1615. PMID 15919781. ^ Dominiczak MH (2003). “Obesity, glucose intolerance and diabetes and their links to cardiovascular disease. Implications for laboratory medicine”. Clin. Chem. Lab. Med. 41 (9): 1266–78. doi:10.1515/CCLM.2003.194. PMID 14598880. ^ Gugliucci, A (October 2000). “Glycation as the glucose link to diabetic complications.”. The Journal of the American Osteopathic Association 100 (10): 621–34. PMID 11105451. ^ Topol, Eric J.; Robert M. Califf (2006). Textbook of Cardiovascular Medicine. Lippincott Williams & Wilkins. p. 42. ISBN 0-7817-7012-2. ^ Vlassara H, Palace MR.; Palace (2002). “Diabetes and advanced glycation endproducts”. J Intern Med. 251 (2): 87–101. doi:10.1046/j.1365-2796.2002.00932.x. PMID 11905595. ^ Glenn, J.; Stitt, A. (2009). “The role of advanced glycation end products in retinal ageing and disease”. Biochimica et Biophysica Acta 1790 (10): 1109–1116. doi:10.1016/j.bbagen.2009.04.016. PMID 19409449. ^ Semba, R. D.; Ferrucci, L.; Sun, K.; Beck, J.; Dalal, M.; Varadhan, R.; Walston, J.; Guralnik, J. M. et al. (2009). “Advanced glycation end products and their circulating receptors predict cardiovascular disease mortality in older community-dwelling women”. Aging clinical and experimental research 21 (2): 182–190. doi:10.1007/BF03325227. PMC: 2684987. PMID 19448391. https://www.ncbi.nlm.nih.gov/pmc/articles/PMC2684987/. ^ Semba, R.; Najjar, S.; Sun, K.; Lakatta, E.; Ferrucci, L. (2009). “Serum carboxymethyl-lysine, an advanced glycation end product, is associated with increased aortic pulse wave velocity in adults”. American journal of hypertension 22 (1): 74–79. doi:10.1038/ajh.2008.320. PMC: 2637811. PMID 19023277. https://www.ncbi.nlm.nih.gov/pmc/articles/PMC2637811/. ^ Yan, S. F.; D'Agati, V.; Schmidt, A. M.; Ramasamy, R. (2007). “Receptor for Advanced Glycation Endproducts (RAGE): a formidable force in the pathogenesis of the cardiovascular complications of diabetes & aging”. Current molecular medicine 7 (8): 699–710. doi:10.2174/156652407783220732. PMID 18331228. ^ Pertyńska-Marczewska, M; Głowacka, E; Sobczak, M; Cypryk, K; Wilczyński, J (February 2009). “Glycation endproducts, soluble receptor for advanced glycation endproducts and cytokines in diabetic and non-diabetic pregnancies.”. American journal of reproductive immunology (New York, N.Y. : 1989) 61 (2): 175–82. doi:10.1111/j.1600-0897.2008.00679.x. PMID 19143681. ^ Tan, KC; Chow, WS; Lam, JC; Lam, B; Bucala, R; Betteridge, J; Ip, MS (March 2006). “Advanced glycation endproducts in nondiabetic patients with obstructive sleep apnea.”. Sleep 29 (3): 329–33. PMID 16553018. ^ Srikanth, V; Maczurek, A; Phan, T; Steele, M; Westcott, B; Juskiw, D; Münch, G (May 2011). “Advanced glycation endproducts and their receptor RAGE in Alzheimer's disease.”. Neurobiology of Aging 32 (5): 763–77. doi:10.1016/j.neurobiolaging.2009.04.016. PMID 19464758. ^ Simm, A; Wagner, J; Gursinsky, T; Nass, N; Friedrich, I; Schinzel, R; Czeslik, E; Silber, RE et al. (July 2007). “Advanced glycation endproducts: a biomarker for age as an outcome predictor after cardiac surgery?”. Experimental Gerontology 42 (7): 668–75. doi:10.1016/j.exger.2007.03.006. PMID 17482402. ^ Zimmerman GA, Meistrell M 3rd, Bloom O, et al. (1995-04-25). “Neurotoxicity of advanced glycation endproducts during focal stroke and neuroprotective effects of aminoguanidine.”. Proc Natl Acad Sci USA. 92 (9): 3744-8. PMID 7731977. ^ Shaikh S, Nicholson LF (2008-07). “Advanced glycation end products induce in vitro cross-linking of alpha-synuclein and accelerate the process of intracellular inclusion body formation.”. J Neurosci Res. 86 (9): 2071-82. doi:10.1002/jnr.21644. PMID 18335520. ^ Fuentealba D, Friguet B, Silva E (2009). “Advanced glycation endproducts induce photocrosslinking and oxidation of bovine lens proteins through type-I mechanism.”. Photochem Photobiol. 85 (1): 185-94. doi:10.1111/j.1751-1097.2008.00415.x. PMID 18673320. ^ Gul A, Rahman MA, Hasnain SN (2009-06). “Role of fructose concentration on cataractogenesis in senile diabetic and non-diabetic patients.”. Graefes Arch Clin Exp Ophthalmol. 247 (6): 809-14. doi:10.1007/s00417-008-1027-9. PMID 19198870. ^ Haus, JM; Carrithers, JA; Trappe, SW; Trappe, TA (December 2007). “Collagen, cross-linking, and advanced glycation end products in aging human skeletal muscle.”. Journal of applied physiology (Bethesda, Md. : 1985) 103 (6): 2068–76. doi:10.1152/japplphysiol.00670.2007. PMID 17901242. ^ a b c d e f g Gugliucci A, Bendayan M (1996). “Renal fate of circulating advanced glycated end products (AGE): evidence for reabsorption and catabolism of AGE peptides by renal proximal tubular cells”. Diabetologia 39 (2): 149–60. doi:10.1007/BF00403957. PMID 8635666. http://www.nature.com/ki/journal/v53/n2/full/4490049a.html. ^ a b c Yan HD, Li XZ, Xie JM, Li M (2007). “Effects of advanced glycation end products on renal fibrosis and oxidative stress in cultured NRK-49F cells”. Chin. Med. J. 120 (9): 787–93. PMID 17531120. https://web.archive.org/web/20090810100221/http://www.cmj.org/Periodical/paperlist.asp?id=LW2007429414606901754&linkintype=pubmed. ^ a b Ansari NA1, Moinuddin, Ali R (2011). “Glycated lysine residues: a marker for non-enzymatic protein glycation in age-related diseases”. DISEASE MARKERS 30 (6): 317-324. doi:10.3233/DMA-2011-0791. PMC: 3825483. PMID 21725160. http://www.hindawi.com/journals/dm/2011/718694/abs/. ^ Brett J, Schmidt AM, Yan SD, et al. (1993-12). “Survey of the distribution of a newly characterized receptor for advanced glycation end products in tissues.”. Am J Pathol. 143 (6): 1699-712. PMID 8256857. http://www.ncbi.nlm.nih.gov/pmc/articles/PMC1887265/. ^ a b Wells-Knecht KJ, Zyzak DV, Litchfield JE, Thorpe SR, Baynes JW (1995). “Mechanism of autoxidative glycosylation: identification of glyoxal and arabinose as intermediates in the autoxidative modification of proteins by glucose”. Biochemistry 34 (11): 3702–9. doi:10.1021/bi00011a027. PMID 7893666. ^ a b c Gugliucci A, Mehlhaff K, Kinugasa E (2007). “Paraoxonase-1 concentrations in end-stage renal disease patients increase after hemodialysis: correlation with low molecular AGE adduct clearance”. Clin. Chim. Acta 377 (1–2): 213–20. doi:10.1016/j.cca.2006.09.028. PMID 17118352. ^ Smedsrød B, Melkko J, Araki N, Sano H, Horiuchi S (1997). “Advanced glycation end products are eliminated by scavenger-receptor-mediated endocytosis in hepatic sinusoidal Kupffer and endothelial cells”. Biochem. J. 322 (Pt 2): 567–73. PMC: 1218227. PMID 9065778. http://www.biochemj.org/bj/322/0567/bj3220567.htm. ^ Svistounov D, Smedsrød B (2004). “Hepatic clearance of advanced glycation end products (AGEs)—myth or truth?”. J. Hepatol. 41 (6): 1038–40. doi:10.1016/j.jhep.2004.10.004. PMID 15582139. ^ Hira Zafar, (26 June 2012). “Inhibition of protein glycation and advanced glycation end products by ascorbic acid”. African Journal of Biotechnology 11 (51). doi:10.5897/AJB11.4172. ^ Abdul, HM; Butterfield, DA (Feb 1, 2007). “Involvement of PI3K/PKG/ERK1/2 signaling pathways in cortical neurons to trigger protection by cotreatment of acetyl-L-carnitine and alpha-lipoic acid against HNE-mediated oxidative stress and neurotoxicity: implications for Alzheimer's disease.”. Free radical biology & medicine 42 (3): 371–84. doi:10.1016/j.freeradbiomed.2006.11.006. PMC: 1808543. PMID 17210450. https://www.ncbi.nlm.nih.gov/pmc/articles/PMC1808543/. ^ Nandhini AT, Thirunavukkarasu V, Anuradha CV (August 2005). “Taurine prevents collagen abnormalities in high fructose-fed rats”. Indian J. Med. Res. 122 (2): 171–7. PMID 16177476. http://www.icmr.nic.in/ijmr/2005/august/0911.pdf. ^ Bucala R, Cerami A (1992). “Advanced glycosylation: chemistry, biology, and implications for diabetes and aging”. Adv. Pharmacol.. Advances in Pharmacology 23: 1–34. doi:10.1016/S1054-3589(08)60961-8. ISBN 9780120329236. PMID 1540533. ^ Guiotto A, Calderan A, Ruzza P, Borin G (2005). “Carnosine and carnosine-related antioxidants: a review”. Current Medicinal Chemistry 12 (20): 2293–2315. doi:10.2174/0929867054864796. PMID 16181134. ^ a b c “Novel inhibitors of advanced glycation endproducts”. Arch. Biochem. Biophys. 419 (1): 63–79. (2013-03-25). doi:10.1016/j.abb.2003.08.009. PMID 14568010. ^ Mizutani, K; Ikeda, K; Yamori, Y (Jul 21, 2000). “Resveratrol inhibits AGEs-induced proliferation and collagen synthesis activity in vascular smooth muscle cells from stroke-prone spontaneously hypertensive rats.”. Biochemical and Biophysical Research Communications 274 (1): 61–7. doi:10.1006/bbrc.2000.3097. PMID 10903896. ^ Tang Y (May 2014). “Curcumin eliminates the effect of advanced glycation end-products (AGEs) on the divergent regulation of gene expression of receptors of AGEs by interrupting leptin signaling.”. Lab Invest. 94 (5): 503-16. doi:10.1038/labinvest.2014.42. PMID 24614199. https://doi.org/10.1038/labinvest.2014.42. ^ Ryoji Nagai, Jun-ichi Shirakawa, Rei-ichi Ohno, Narumi Moroishi, M. Nagai (2013). “Inhibition of AGEs formation by natural products”. Amino acids 46 (2). doi:10.1007/s00726-013-1487-z. ^ “N-Acetyl Cysteine Attenuated the Deleterious Effects of Advanced Glycation End-Products on the Kidney of Non-Diabetic Rats”. Cellular Physiology and Biochemistry 40 (3-4). (2016). doi:10.1159/000452574. ^ Upadhyay A, Tuenter E, Ahmad R, et al. (2014-08). “Kavalactones, a novel class of protein glycation and lipid peroxidation inhibitors.”. Planta Med. 80 (12): 1001-8. doi:10.1055/s-0034-1382949. PMID 25098935. ^ Vasan, S; Zhang, X; Zhang, X; Kapurniotu, A; Bernhagen, J; Teichberg, S; Basgen, J; Wagle, D; Shih, D; Terlecky, I; Bucala, R; Cerami, A; Egan, J; Ulrich, P (Jul 18, 1996). “An agent cleaving glucose-derived protein crosslinks in vitro and in vivo.”. Nature 382 (6588): 275–8. doi:10.1038/382275a0. PMID 8717046. ^ Monnier, V. M., Mustata, G. T., Biemel, K. L., Reihl, O., Lederer, M. O., Zhenyu, D. (2005). “Cross-linking of the extracellular matrix by the maillard reaction in aging and diabetes: An update on "a puzzle nearing resolution"”. Annals of the New York Academy of Sciences 1043: 533–544. doi:10.1196/annals.1333.061. PMID 16037276. ^ Furber, J.D. (2006). “Extracellular glycation crosslinks: Prospects for removal”. Rejuvenation Research (Elsevier Inc.) 9 (2): 274–278. doi:10.1089/rej.2006.9.274. PMID 16706655. ^ Ishibashi Y, Matsui T, Takeuchi M, Yamagishi S (2012-11). “Metformin inhibits advanced glycation end products (AGEs)-induced renal tubular cell injury by suppressing reactive oxygen species generation via reducing receptor for AGEs (RAGE) expression.”. Horm Metab Res. 44 (12): 891-5. doi:10.1055/s-0032-1321878. PMID 22864903. http://www.ncbi.nlm.nih.gov/pubmed/22864903.